At 89, former warplane pilot Sylvia Clayton is still a regular at happy hour at her senior citizens home. Now she has one more tale to tell over shots of Southern Comfort. Sixty-six years after Clayton became one of the first women ever to fly U.S. military aircraft, she and her fellow aviatrixes from the World War II era are being awarded a Congressional Gold Medal. 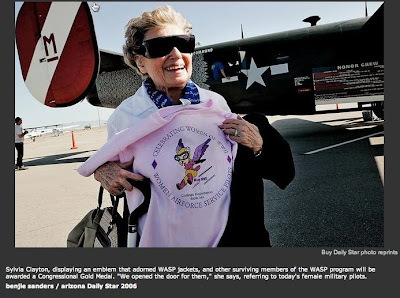 Clayton, of Tucson, is one of 300 or so surviving Women Airforce Service Pilots, known as WASP, who took to the skies despite the gender discrimination of their day and helped paved the way for future generations of female military fliers. The WASP program ran for two years, 1943 and 1944, and the women weren't allowed to fly overseas. Instead, they were trained for domestic missions — flying warplanes from factories to military bases or towing targets through the air for shooting practice — thus freeing up male pilots for overseas duty. Clayton flew or co-piloted no fewer than six different fighters and bombers, from the P-51 Mustang to the B-24 Liberator. The female pilots, about 1,000 of them at the time, were poorly treated by today's standards. They had to pay their own way to their training bases and find their own way home when the program ended. Nearly 40 died during their tours of duty, but the government wouldn't pay to ship their bodies home for burial. Clayton still recalls donating money to transport the remains of deceased colleagues, a memory that stings even decades later. "We had to pass the hat," she recalled in an interview. "We were on our own." She was 24 when the program ended. After working briefly in aircraft engine maintenance, the Minnesota native married her sweetheart, Harry Clayton, who worked for Hughes Aircraft. Her late husband was transferred to Tucson in 1961, and the family has been here ever since. It wasn't until 1977, more than 30 years after the WASP program ended, that the women were given status as military veterans. In a bid to atone for past wrongs, President Obama signed a bill on July 1 bestowing the highest civilian honor given by Congress. "The Women Airforce Service Pilots courageously answered their country's call in a time of need," Obama said in remarks quoted on the Air Force Web site. "Every American should be grateful for their service, and I am honored to sign this bill to finally give them some of the hard-earned recognition they deserve." The medal will be presented in the near future to Clayton and other survivors, who each will get a bronze replica. No date has been set yet, but Clayton said she plans to attend the ceremony "if I'm still above ground and walking around." Despite the hardships, Clayton said, the women enjoyed their work and take great pride in having broken down barriers for today's female military pilots. "We opened the door for them," she said. "I think most of us feel very proud of that." It’s been 65 years since Joan Lemley, who lives in Purcellville today, trained and qualified with the Women Airforce Service Pilots, or WASP, of World War II. Lemley, 88, donned her WASP navy-blue trousers, white blouse and brass Aug. 6 and met Rep. Frank Wolf (R-10th) at Purcellville’s Town Hall to receive the congressional act, signed July 1 by President Barack Obama, authorizing the award of the Congressional Gold Medal to the 300 surviving women pilots of that era. The unit was formed in 1942 to put women behind the controls of military aircraft in noncombat jobs and free up the men to get back to the war. More than 25,000 women answered the call, 1,830 were accepted and took the oath, and 1,074 completed the training. Lemley and Barbara Ross, of Warrenton, were among them. They will receive the medal at a ceremony at the Capitol later this year. Lemley said she fell in love with flying at age 11 when her father, a World War I pilot, flew her over the Statue of Liberty. She was living in Culpeper and had her pilot’s license when the call went out. The program ended in 1944, and the women's success in flying fighter, bomber, transport and training aircraft led to the integration of female pilots into the U.S. armed services. After the war, Lemley piloted surplus trainers to their new owners for 10 cents a mile and briefly tried her hand as a stewardess, but found it too much like waitressing. She spent 32 years with the FAA and moved to Purcellville to be near her son six years ago. 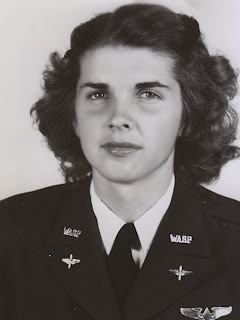 Sixty five years after Edith Smith served as a Women’s Airforce Service Pilot, she and about 300 other “WASPs” are receiving the Congressional Gold Medal, the nation’s highest civilian honor. President Obama signed Public Law 111-40 on July 1, and surviving WASPs are waiting to be notified when they will be honored. Smith, 88, anticipates receiving the honor in the fall. Though the WASP program lasted only 28 months and ended abruptly, it wasn’t until Nov. 3, 1977, that the women were commissioned retroactively. They were given veteran status on March 8, 1979. Smith said she was invited to join the Women Airforce Service Pilot group by an elderly man. “He was probably about 40,” she said truthfully yet humorously. She applied in January 1944 and was accepted. “Over 25,000 applied for admission. Just 1,830 were selected (all had previous flight training, many were licensed pilots). There were 1,074 who were granted and certified with commercial licenses with instrument and instructors’ ratings and deferred lieutenant rank,” she said. Of the approximately 300 who are still alive, most are in their 90s, Smith said. 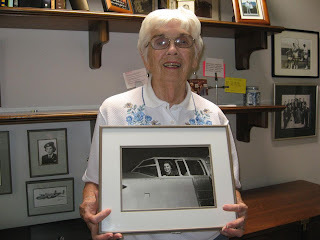 Piloting Piper Cubs, the Luscombe Silvaire, B-24s and B-25s, she said her mother was encouraging, and always felt she and her four siblings could do anything they set their minds to. As demands for military pilots in the U.S. grew from 30,000 in 1941, to 100,000 in 1942, Gen. Henry ”Hap” Arnold, commander of the Army Air Forces, saw the value of using women in stateside missions. During her service she said there was a time when she was the only female pilot among 14 males. “They gave me no static. They saw I could solo, and I thoroughly enjoyed it,” she said. Memorable moments include a time when she was flying in Bryan, Texas, and an engine went out. “When an engine went out (and you were coming in for a landing) everyone was out watching — especially since a girl was flying. “I had the best landing I ever made. I had never taxied on one engine before,” she said. Smith said when the WASP program ended the women had to find their own way home. Asked what receiving the Congressional Gold Medal 65 years after WASP ended meant to her, Smith’s feelings weren’t about herself. “It’s partly sadness because so many are gone now and weren’t aware of being recognized... what we did was finally recognized. Though her mother and one sister lived to 102, and one sister lives alone and still gardens at 101, Smith said she’s making her “bucket list” — a list of things she wants to do before kicking the bucket. The term was coined in the 2007 movie “The Bucket List” starring Morgan Freeman and Jack Nicholson. Included in her short list are making contacts with some of her fellow WASPs and reading the Bible as literature, which she has started. Ellen Sussman is a freelance writer in Green Valley. Contact her at ellen2414@cox.net. Millie Dalrymple is a true American hero, and an exceptional representative for the little town of Llano. She was born into one of Llano’s most celebrated families: her father was Roy Inks, the local merchant and mayor for whom Inks Lake, Inks Dam and the Roy Inks Bridge across the Llano River are named; her mother was Myrtle Moss, whose father, Aaron F. Moss owned a 30,000-acre ranch in southern Llano County. Millie’s great-grandfather was Matthew Moss, who fought with General Sam Houston and is the only San Jacinto veteran buried in Llano County. Millie earned a journalism degree at the University of Texas, and married a handsome young airman named Bill Davidson, from Houston, in 1942. She worked as a secretary in the Austin Adjutant General’s office while Bill went off to war; he was shot down over the North Sea on February 4, 1943. The successful applicants were sometimes in dangerous places or in dangerous conditions, and thirty-eight of the just-over-one thousand WASP pilots died during the year-and-a-half program. Millie’s usual job was to fly B-24 bomber’s around the U.S for “four or five hours” after repairs, to make sure that the planes were ready for combat service. The WASPs were considered civilian employees, and did not receive military benefits. And when they were disbanded in December of 1944, all the unit’s records were classified, so the pilots received little or no recognition for their wartime service. After the war ended, Millie married another airman, a childhood friend from Llano named Edwin Dalrymple. Their first son, Dennis, was born on Millie’s 27th birthday. Edwin got a job with the FBI in Quantico, Virginia, and their next two children were born up north (the youngest, Tom, is now a city councilman here in Llano and owns the building where Millie’s father once operated the local Ford dealership). The family moved to Houston when Edwin got a transfer in 1956, and then to Austin when he retired from the FBI in 1968. With her youngest in high school, Millie took a job supervising the Communications Center at National Western Life Insurance; after ten years there, she was asked to set up a similar system for the Texas State Legislature. In the meantime, under the leadership of Col. Bruce Arnold (son of General Hap Arnold, an aviation pioneer and the only man ever to be a five-star general in both the Army and the Air Force), the WASPs fought the "Battle of Congress" in Washington, D.C. in 1975. With the important support of Senator Barry Goldwater, who himself had been a WWII ferry pilot in the 27th Ferry Squadron, the WASPs belatedly obtained recognition as veterans of World War II. In 1977, President Jimmy Carter signed legislation granting the WASP corps full military status for their service. In 1984, each WASP was awarded the World War II Victory Medal. Those who served for more than one year were also awarded American Theater Ribbon/American Campaign Medal for their service during the war. Many of the medals were received by their sons and daughters on their behalf. During that time, Millie took up the sport of tennis, another pastime in which she soon excelled. Playing doubles with a lady named Betty Mildner, from Lake Jackson, she worked her way up to a ranking of #4 in the nation by 2003, and was invited to play on the U.S. Seniors (over 75) team in the International Friendship Cup competition in Austria. Since 1997, she has been giving speeches about her time as a WASP. After more than 60 years of marriage, Millie’s husband, Edwin, passed away in 2006. Millie moved into a retirement center called Westminster Manor, in Austin, but continues to lead an active life and make public appearances. You can learn more about this remarkable “Llanite” by reading her memoirs (“Millie’s Milestones”), available at the Llano County Public Library. 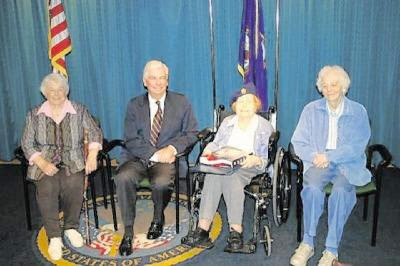 Anna Flynn Monkiewicz of The Dalles was honored Sunday with a reception at the Discovery Center and a presentation from Sen. Ron Wyden for her work as a member of the Women’s Airforce Service Pilots, or WASPs during World War II. WASP members ferried planes from manufacturing sites to airbases all over the United States and were promised, but never received, military status. Last month, Congress passed a bill honoring their service and awarding them a Congressional Gold Medal. The medals are still being designed and minted, but Sen, Wyden presented Monkiewicz with a framed copy of the legislation and a flag hat had been flown over the U.S. Capitol Building. Wyden was a co-sponsor of S 614, which recognized the contributions of the WASPs and awarding them a Congressional Gold Medal. After the presentation was made and photos were taken, Wyden asked Monkiewicz to say a few words. The 30 members of the audience gave her a standing ovation. DANBURY -- Ann Gleszer wanted to fly since childhood. While working as a teacher in Simsbury, she took flying lessons -- a rarity for a woman in the 1940s. 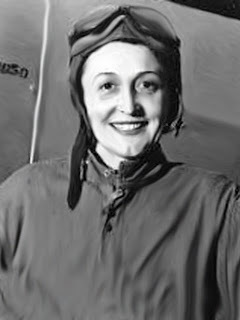 When America went to war, Gleszer learned the Air Force was hiring women as test pilots, to ferry planes from coast to coast and teach men how to fly. 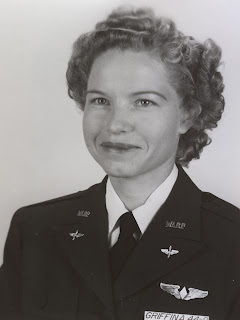 So Gleszer, then in her early 20s, took advantage of the unique opportunity to join the Women's Airforce Service Pilots or WASP. "These ladies were all of a certain caliber," said Ken Gleszer, Ann's husband. "They had lots of get-up and go. They believed they could do anything a man could do and they proved they could." On Saturday,in a ceremony at the Veterans Administration hospital in West Haven, Senator Dodd honored Ann Gleszer, who is one of the more than 1,000 WASPs to be honored nationwide for their service during World War II. "I couldn't have been more pleased when we were able to approve the legislation awarding the Congressional Gold Medal to the Women Airforce Service Pilots," Dodd said. "More than 1,000 women served in the WASP corps during World War II. Six of them are still living here in Connecticut. They are great American heroes and national treasures. And they are recipients of the highest honor Congress can bestow." Gleszer was a test pilot in the WASPs -- flying planes that had either just been repaired or built before Air Force pilots flew them to assure they met specifications. "There were all sorts of maneuvers I had to do to make sure the planes were safe to fly," she said from her Danbury home Saturday. "I realized we were making a breakthrough for women and was happy doing it." From 1942 to 1944, more than 1,000 women were trained to fly military aircraft. The Air Force had thousands of new aircraft coming off assembly lines and had to be delivered to military bases around the country. But most of the pilots were overseas fighting the war. To deal with the backlog, the government launched an experimental program, training women to meet the need. Gleszer and some 900 other WASPs were stationed at Avenger Field in Sweetwater, Texas. They slept eight to a barracks, wore uniforms sized for men and had no official military status. They often faced disbelief and resentment from male officers. but they persevered and proved women could be capable pilots. They paved the way for women today to be pilots in the U.S. military. "The men were often jealous of us," Gleszer recalled. "It's hard to break ground but it was worth it. I had always wanted to fly. I started flying at Simsbury Airport. It was just a little hayfield. I had some flying time officially logged when I heard about the Air Force program for women pilots. I flew with the WASPs until the program was abandoned." Gleszer continued teaching after the war. She was a French teacher at Newtown High School for 15 years. She retired from teaching in 1983. In 1942, here in the Inland Empire, if you saw a military plane whiz by, chances were good that it was flown by a young, feisty woman. It was a year that started an astonishing chapter of American history, one in which women played a crucial, although now largely forgotten, role in World War II. More than two decades before the women's liberation movement, 1,102 female civilians went through the Women Airforce Service Pilots, or WASP, program in WWII and learned to fly military planes. They weren't trying to break gender barriers. They just answering the call of duty. They were America's fly girls on a mission. so we just flew shoulder-to-shoulder with the men and did it." Critchell, along with Claremont resi dent Catherine Bridge, 88, and Rancho Cucamonga resident Pearl Judd, 87, are among the approximately 300 surviving members of WASP. From 1942 to 1944, these women put their lives on hold at the height of the war to ferry a growing number of military aircraft that needed to be moved from factories to airbases across the nation. With women taking the helm on these non-combat missions, men were released for combat deployment in an escalating global conflict. Last month, President Barack Obama said every American should be grateful for these women's service. He awarded WASP members the Congressional Gold Medal. The president signed the bill in the presence of prominent female pilots, including three WASP members. It was the public recognition for which many had yearned. Congress ended the program in 1944 as public opinion of the WASP program turned sour. Not only were these women not regarded as heroines at the time, they weren't even granted military status. And when more and more men faced the draft, these posts held by women were viewed as jobs that could keep men from combat. Bridge said she didn't talk about her experience for years. "When they stopped the program, it broke our hearts," Bridge said. It was a frustrating end to a experience that was equal parts rigorous and fun. "At first we moved small, light planes from one field to another. Then the larger, more expensive planes," Bridge said. "It was like learning to walk. First you crawl, then when you have success in that, you stand." Bridge first learned to fly at UC Berkeley where she went to college. Later, she learned how to fly 20 different models of aircraft through WASP. Her favorite was the long-range P-51 fighter. Without the war, the thought of taking charge in a military aircraft would have never occurred to women like Bridge. "I never thought that would be a possibility," she said. "Women just weren't doing that sort of thing." But it didn't stop women like Judd, who fell in love with airplanes at the young age of 6. Judd remembers seeing an airplane for the first time at a promotional event. "It was the most beautiful thing I saw in my life," Judd remembered. But when it came time to tour the inside of the plane, only boys were allowed. That's when Judd set her sights to the sky. Judd, like many of the WASPs, got her pilot's license before entering the military program. Prior to being selected, Judd remembers being in a room of 300 men for a four-hour test. Once accepted, Judd was sent to Long Beach for a physical. The male doctor gave her a quick embarrassed look and waved her through. There just wasn't any protocol for him to follow to give a female a physical exam. For the next seven months, Judd and her class were trained in Sweetwater, Texas. Wearing girdles underneath their uniforms, the pilots were quickly toughened up for the job. Once the missions started, they were kept extremely busy, shuttling planes from Long Beach to New Jersey. When the program ended, WASP collectively logged 60 million miles in 77 different types of aircraft. The planes were equipped with top secret equipment that required pilots to carry a pistol. Most had little room in the aircraft for anything more than a toothbrush and an extra blouse. Some found empty compartments in the wings designed for ammunition and put a high-heeled shoe in each wing. Bridge remembered bringing a small iron. Their male counterparts were shocked to see them pilot the planes. But most accepted the ladies. "Once you flew, you were part of the brotherhood," Judd said. "It was the outsiders who couldn't see it." It wasn't until 1977 that WASP members received veteran's status. When 38 WASP died during the program, family members and fellow pilots paid to fly the bodies home. Judd, who was enamored with airplanes, hasn't flown one since the 1940s. When she later tried to fly, at the Santa Monica Airport, officials there thought she faked her log book. After WASP, Bridge used her experience to teach grounds school in Montana. She ended up teaching the instructor who first taught her how to fly prior to her WASP experience. Critchell went on to a 70-year career in aviation that included teaching at Harvey Mudd College. She still flies to this day. "We were always proud of doing the same job as men," Bridge said. "It shows what women can do when asked." WARREN TWP. 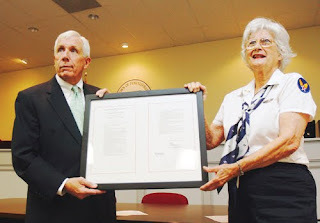 – The 100th anniversary of the birth of Aline Rhonie Hofheimer, a pioneering female aviator with roots in Warren Township, was celebrated in a certificate of recognition presented to her niece, Carol Roberts, at the Thursday, July 23, Township Committee meeting. Township. The Hofheimer estate included what is now the entire municipal complex, the property where the Elks Lodge is, the Warrenville Golf Course, and across Warrenville and Mount Bethel roads all the way down to the Bardy Farms greenhouses and fresh produce center. The Town Hall and the Elks Lodge were once residences of members of the Hofheimer family. Aline Rhonie Hofheimer was one of the granddaughters of the original Hofheimer family. According to Warren history, Aline Rhonie Hoifheimer was born on Aug. 16, 1909 in York, Pa., the daughter of Arthur and Helen Milius Hofheimer. She, her parents and her siblings returned to live in Warren Township in 1912. “She grew up on Long Acre Farms, the family’s luxurious country estate in Washington Valley, where the Pheasant Run Shopping Center is now, with her sisters,” according to the history. She married twice, first in the late 1920s to L. Richard Bamberger, a New York stockbroker, then after her divorce in 1930, to Reginald L. Brooks in 1933. He was the nephew of Lady Astor, and an amateur aviator. Hofheimer had learned to fly gliders, seaplanes and twin-engine craft before she was 20-years-old, and in 1930, earned her pilot’s license. She was the first woman to fly solo from New York to Mexico in 1934. Hofheimer earned a British flying license in 1936, worked with the Red Cross during World War II, and flew solo across the United States in 1940, raising funds for aviator canteens in England and France. 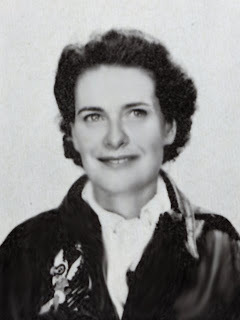 During the war, she became the fourth woman to join the Woman’s Auxiliary Flying Squadron in 1942, and in 1943, she went to England and served as the first officer in the British Air Transport Auxiliary, where she received various medals and awards. She studied for several months with Rivera, learning the art of fresco painting, and as a young teen, she had taken lessons from noted American painter, John Sloan. Hofheimer’s most noted work is a fresco mural that measures 106 feet by 12.5 feet, which was painted on the north wall of Hanger F at Roosevelt Field, Long Island. That is the same airport from which Charles Lindbergh left on his historic solo flight across the Atlantic Ocean. The fresco depicts 500 air notables, including many of the early female aviators, 200 lesser-known personalities, and 268 planes and hangers from the pre-Lindbergh era of American aviation. In 1960, the hanger was demolished along with the Roosevelt Field airport to make way for the Roosevelt Field shopping mall. Hofheimer spent $20,000 of her own money to have the mural removed, and placed in storage. Susan Loricchio of the North Jersey chapter of The Ninety-Nines, the international organization of women pilots, and Esta-Ann Schapiro of Warren Township, wife of noted Warren Township author Jack Elliott, have tracked the history of Hofheimer’s fresco, which remains in storage. They have been keen to see that the fresco, by an historic female aviator about historic female aviation pioneers, be properly displayed. Loricchio said that the fresco is currently stored at Vaughn College of Aeronautics, Queens, not far from Laguardia Airport. After the war, Hofheimer co-founded the Luscombe Airplane Company, Kansas City, Mo., and served as president and chairman of the board at Allison Radar Corporation. She died in Palm Beach, Fla., on Jan. 7, 1963. All proceeds from the luncheon will be donated back to the causes of the award winners.